Interim Man Utd boss Ole Gunnar Solskjaer seemingly faces an anxious wait on news on Luke Shaw after he pulled out of the England squad on Monday. The 23-year-old has been a regular fixture in the starting line-up this season, making 34 appearances across all competitions as he has made the left-back spot his own. With that in mind, Shaw will undoubtedly have been eager to cement his place in the England XI over the international break too, but his hopes have taken a hit as The Mirror report that he has withdrawn from the Three Lions squad due to an injury. Specific information isn’t given on the injury itself, and so Shaw will no doubt now return to Carrington over the break to undergo treatment and try to ensure he’s ready to face Watford on March 30. United have also released a statement confirming the setback, but again, further details aren’t provided on the injury and how long their left-back could be ruled out for. 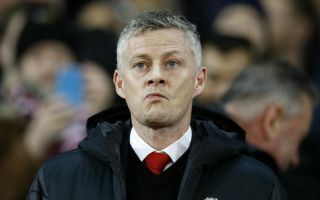 With the battle for a top four finish in the Premier League intensifying and the Champions League to consider, Solskjaer will be desperate to avoid any long-term injury blows in the coming weeks ahead of a crucial period of the campaign. Having led a resurgent Red Devils back into contention, their FA Cup exit at the weekend would have been a major blow and so now he’ll be battling to ensure that it isn’t followed by further disappointment. Being able to call on a fully-fit squad will certainly help him avoid that.